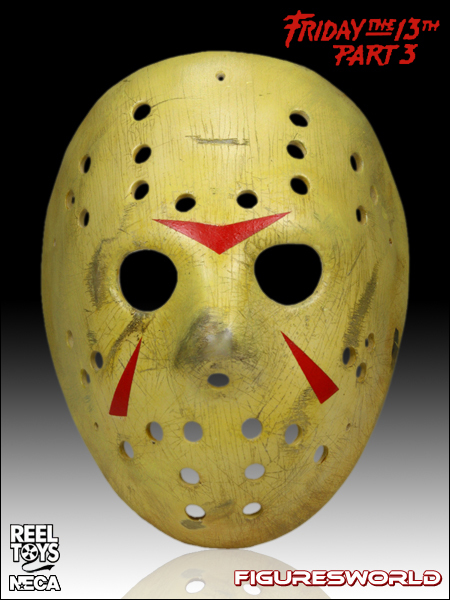 For the first time ever an affordable replica is available of the debut hockey mask worn by Jason in Friday the 13th Part 3. Made from resin and hand painted, includes leather-like straps so you can wear the mask or hang on the wall for display. Accurate to the film in every way! Blister Packed! If you think Jason Vorhees is nothing more than a hockey mask and a big knife, you’re doing it wrong. As specific as NECA's 2009 remake Jason mask replica was for that film, this blister-packed prop replica perfectly captures the menacing look behind the horror of Friday the 13th, and the blankness of the face of that terror. Looking at this mask, there’s just something that says there’s no killing it. Probably why they did another nine movies (so far).